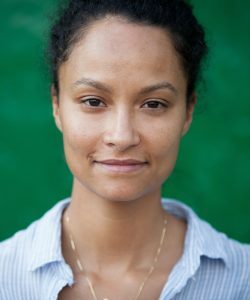 Jamila Wignot is an award-¬winning documentary filmmaker. Her body of work includes, The African Americans: Many Rivers to Cross, hosted by Henry Louis Gates, which won a Peabody, Emmy, and NAACP awards; Town Hall a feature-length co-production with ITVS about the Tea Party movement; and for American Experience the Peabody Award-winning, Triangle Fire and Emmy-nominated Walt Whitman. Wignot’s producing credits include The Rehnquist Revolution, the fourth episode of WNET’s series The Supreme Court which was an IDA Best Limited Series winner and Street Fighting Man character-driven documentary, currently in post-production, about the daily lives of three men surviving in the neighborhoods of post-industrial Detroit. Her most recent directorial work told the story of the pioneering women who have shaped American business for the landmark PBS women’s series, MAKERS and aired this past fall.